Like so many of the people who live in my neighborhood, I vividly remember what it was like growing up uninsured. I have such clear recollections of going to the neighborhood rec center to get immunizations. There would be a line of kids waiting to get their shots. This was often the closest to seeing a health care professional as many people in my neighborhood got. You had to be really sick to go to the doctor. These childhood memories had a profound influence as I grew older. When it was time to choose a vocation, I knew I wanted to make a difference on the issue of health care accessibility. At university, I decided against becoming a doctor, but when I joined La Clínica de la Raza as a college intern, I knew I had found my home. Five years later, when I was 30, I was named CEO. This desire to ensure the health and wellbeing of the residents of Oakland, California was also the driving force behind La Clínica itself, which got its start nearly 50 years ago when a group of graduate students were canvasing the Fruitvale neighborhood of Oakland. The overwhelming need identified by residents at the time was access to doctors and medical care. In response, a few of these students opened a health clinic in 1971 to provide free medical, dental, and optometry services. What began as a humble, stand-alone clinic became a network of 35 health centers spread across three counties. Some of the clinics are small, but others have as many as 40 examination rooms. 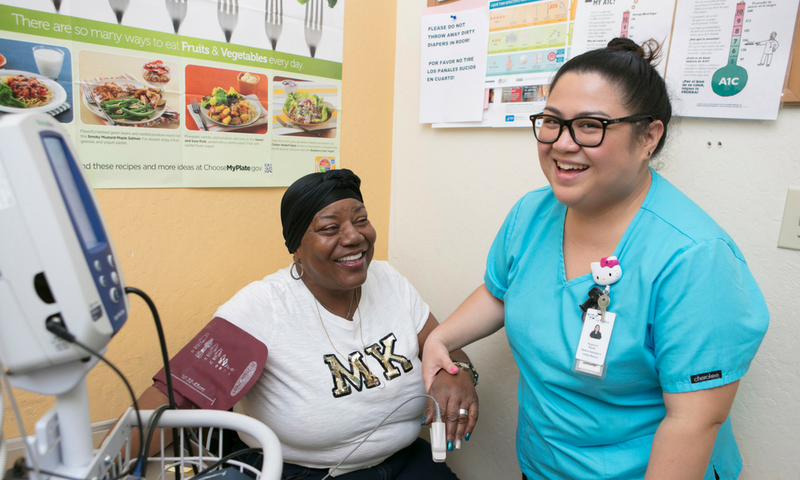 La Clínica now employs over 1,200 individuals who provide care to nearly 90,000 community residents a year. I oversaw much of this growth. When I joined La Clínica in 1978, the organization had a $2 million operating budget. Today, it is well over $100 million. La Clínica provides the full gamut of services, from preventive services and health education to prenatal care, mental health, radiology, and much more. It even provides free legal services to help residents contend with a range of factors that impact their health and well being, such as domestic violence, immigration, and housing issues. These “wrap around” services are essential to the overall health of each individual and family that La Clínica supports. I see them as clearly linked to the Social Determinants of Health (SDHs) – a network of complex and interrelated social structures and economic systems that are responsible for people’s health, that reflect the conditions in which people live, and that are shaped by the distribution of money, power, and resources. My long history in the community has informed much of La Clínica’s philosophy and practice. The organization’s responsiveness to the needs of the people it serves is the foundation for how it operates and what it offers. In fact, the majority of the staff and board members today first came to La Clínica as clients. Some are even second and third generation employees or board members. After 40 years at La Clínica, I am still inspired by my work and moved by the impact La Clínica has. Just the other day, a young man come to one of our clinics with his baby. He was an immigrant, and the child was born at home. His wife had not received prenatal care, and the four-month-old baby had never been seen by a doctor. La Clínica staff see patients like these, who are deeply affected by the lack of access to health care, every day. Beyond La Clínica’s impact on specific individuals, the organization is important in the area’s overall economy, especially as hospitals move away from in-patient provision of services to an outpatient model. Some hospitals even directly coordinate their services with La Clínica. We find that we are constantly discussing the topic of who deserves access to health care and who doesn’t, but what we should be talking about is how our preventive services and after-care not only end up saving lives, they save the system a great deal of money. Our city can’t afford not to have the services we provide. To continue its essential work, La Clínica needs support for basic infrastructure and operations. For example, systems to maintain electronic health records, which have revolutionized the industry and are constantly evolving, need regular and expensive upkeep. Also, when you hire community residents as staff, training costs are high. Plus, it is difficult to pay competitive salaries with so many large and better-funded hospitals and institutions in the area. I know that brick-and-mortar and IT needs are rarely attractive to funders, but they are the backbone of La Clínica and challenging costs to meet. I have seen a great evolution in my community over the last 50 years. When I look back to my childhood, I feel gratitude that kids in my community today no longer have to stand in a line at the local rec center to get the medical attention they need and deserve. Copyright Hispanics in Philanthropy © 2015. All Rights Reserved. Welcome to HIP’s new website! Members of HIP may log in below to access the Job Bank, special prices for events, and other members-only resources. if you have trouble logging in. Enter your email, we’ll email instructions on how to reset your password.